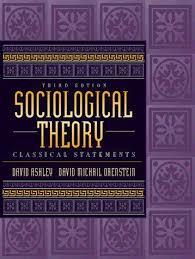 245 1 0 %a Sociological theory : %b classical statements / %c David Ashley, David Michael Orenstein. 260 %a Boston : %b Allyn and Bacon, %c cop. 1998. 300 %a VI, 554 s. ; %c 24 cm.